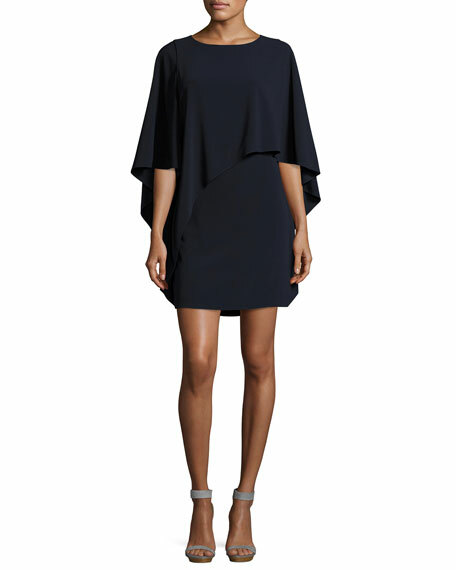 Halston Heritage crepe dress with an asymmetric, flowy popover bodice. Approx. 35"L from shoulder to hem. The Halston Heritage label takes the best of 1970s disco glam and merges it with a modern sensibility for chic retro looks that are perfectly in the now. The line, an offshoot of legendary American design house Halston, was introduced in 2009. 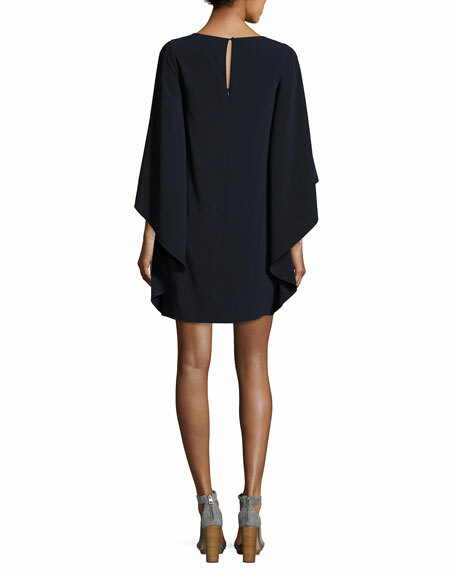 For in-store inquiries, use sku #2304495.